Car buyers in India and the world no doubt seek the best deals available and car makers always attempt to bring in the best deal to them. 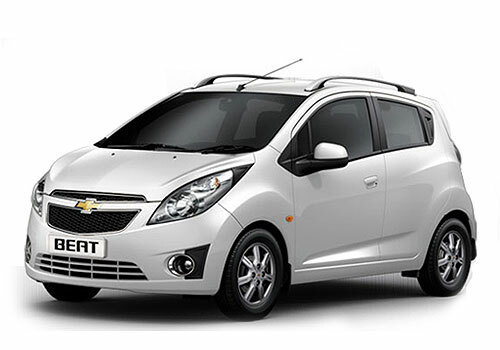 In such an initiative, Chevrolet has brought the Chevrolet Promise program for its cars including the small hatchback Chevrolet Spark (both LPG and petrol version), Chevrolet Beat (all versions), Chevrolet Aveo U VA, Aveo, Optra Magnum and Chevrolet Cruze sedans. Under this program, the car buyers will be getting free maintenance for three years or 45,000 kms whichever is earlier by paying an amount in advance at the time of purchasing the Chevrolet car. Like by paying just Rs 15,499 one gets a three year free maintenance while the amount is Rs 19,499 for Beat Diesel and Rs 48,499 for Chevrolet Cruze. For Optra Magnum Diesel the amount is Rs 35,999. The package is an excellent option by which Chevrolet car customers can drastically reduce the cost of ownership as well as maintenance. By choosing the program, the car buyers need not pay anything for the regular servicing as well as repairs such as replacement of clutch, brake pads, wipers etc. Notably, including this in the program is worth the offer as towards the second year, any car starts demanding a replacement or repair of any of these parts and some of these such as the clutch is a costly affair. Meanwhile, auto industry experts believe that the program is similar to what Hyundai is offering in the form of 5 Star Assurance program for Hyundai i10 and Hyundai Santro. Under this program the Korean car maker offers five assurances including maintenance for upto three years of 45,000 km, motor insurance at Re 1, extended warranty and full roadside assistance. Meanwhile, the assurance program launched by Chevrolet is expected to make Spark and Beat that are already hot much hotter. Besides, it will also improve sales of Aveo and Aveo U VA. Whereas Chevrolet has excluded Chevrolet Captiva and Chevrolet Tavera out of this program and has slated a separate program for these cars. Chevrolet gives such a great offer, like mega exchange offer, exchange old car for brand new chevrolet and chevrolet by promise At the time of purchase assure of low cost maintenance and free maintenance & service of their car for the next 3 years or 45,000 kilometers. Chevrolet car can easily buy car lover.